​Kris Bryant has had a hard time recapturing his dominance at the plate since coming off the DL last month. Finding his stroke now is going to be even harder after ​leaving the game with a wrist contusion on Tuesday night. Bryant suffered the injury after getting hit by a pitch from Chris Archer in the sixth inning. With only a few games left to play in the season, Chicago is now faced with the ugly truth: they might have to forge on without one of their best hitters playing at full health. Bryant has battled through ​physical ailments all season, resulting in a subpar year offensively from the former MVP. Yet another injury last night only makes things worse for his status moving forward. 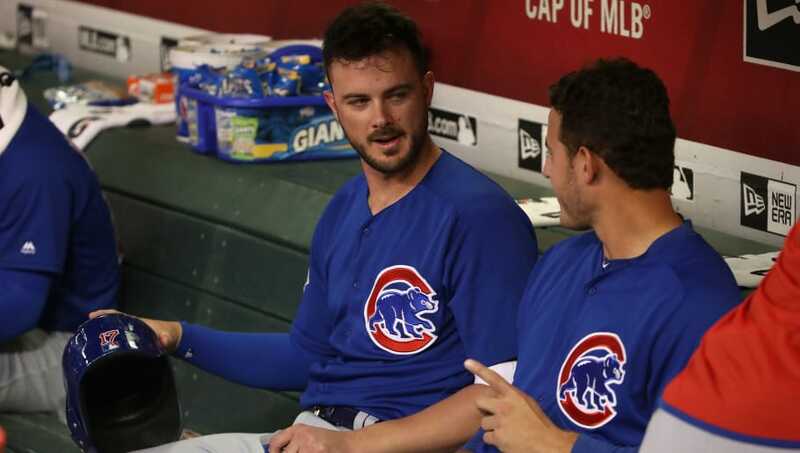 Bryant will miss Wednesday's game and potentially more, but Cubs' fans are hoping he can return much sooner than later. The difference, however, is that Bryant has already tried to battle back and hasn't been able to return to his old self. Rushing him back for a playoff run might end up doing irrevocable damage to one of their ​most talented stars. The good news is that the X-rays are negative thus far. This, of course, doesn't mean Bryant will be fully healthy come October. It just means nothing appears to be broken. If Bryant's wrist isn't up to par, Chicago might be in trouble. Replicating the kind of offensive output he produces when at full strength is near impossible. Weakening a huge weapon like him hurts the Cubs, even if he hasn't been his usual MVP self this season.